Pioneer Grappling Academy is a facility designed for Wrestlers who want a place to train year round. Currently our sessions involve intense conditioning and drilling for folkstyle wrestling. We currently offer three classes on Tuesdays and Thursdays. These classes range from the very beginner to the experienced; Intro to Wrestling (Beginner), Novice Wrestling (Intermediate), and Advanced Wrestling (middle and high school level, must have at least 2 years experience). This season, we have decided to compete locally during the freestyle season. Our class structure will remain the same, with possibly extra classes added throughout the tournament season. 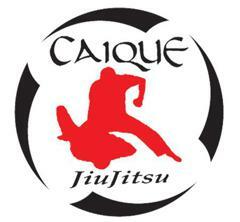 Additionally, we have added a couple classes to our jiu jitsu program. We now offer muay thai, along with an Intro to MMA (must have previous grappling experience- ask Professor Paul or Coach Harlee for more details. We are excited about our upcoming season and can't wait to see all our fellow wrestlers on the mat! Need A Place To Train? Our Facility is available for use! Check out our new addition!